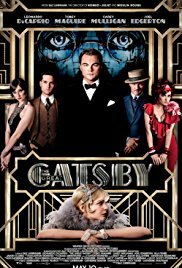 One of the Most Revered Works of Art from the 20th Century Vs.
Get your Flapper outfits ready and fill that tub with bootleg gin–The Margos go deep into the backstory of F. Scott Fitzgerald’s The Great Gatsby. Though it is now considered one of the most important American novels of all time when it was published in 1925–it sold half as well as his previous novels and Fitzgerald felt like a failure. The life of Fitzgerald and his wife Zelda Sayre is one of the most tragic we have yet to cover and we get into all of the details in this show. Plus. we dissect between the book, the audiobook narrated by Jake Gyllenhaal and the rather frenetic movie directed by Australian Baz Luhrmann. So between the book and movie, which did the Margos like more? Click on the link below to find out. The casting of the movie including Tobey McGuire, Carey Mulligan, Joel Edgerton, and Leonardo DiCaprio.